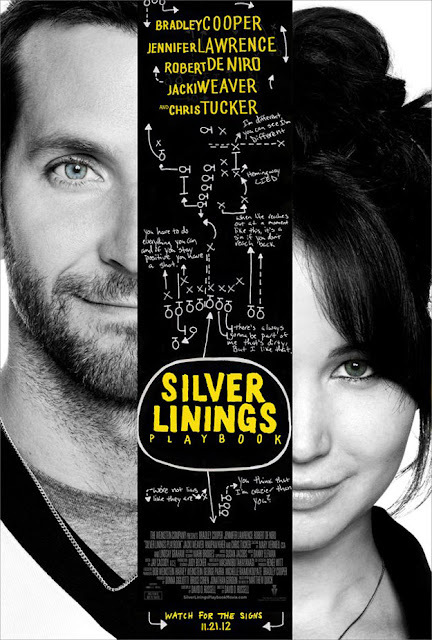 Thanks to the From the Red Carpet film club I got a pair of free tickets to see The Silver Linings Playbook. My wife has read the book and was telling me all about it and became immediately dismayed when she saw the first trailer and the casting of Bradley Cooper. However I think the film sort of won her over with a few reservations. I liked it more than I expected to. Taking some giant steps away from the source book in order to make a much more conventional rom-com, it is still an enjoyable film with very interesting characters and some great performances. Despite going on a bit long and straying far too close to convention for much of the last half, Lawrence, Cooper and De Niro are very impressive and playing some seriously interesting characters compared to the average rom-rom. The book really highlights the obsession of Pat much more and makes it far more obvious and sad that he is never going to get his wife Nikki back. Nevertheless Cooper is excellent but Jennifer Lawrence really steals the film. Lawrence as Tiffany is brave, funny, a little bit crazy and very slutty but always completely sympathetic and believable. She balances the serious with the humorous perfectly. Cooper shows much more chops than in his other films. It is great to watch him in something that strays from the typical boorish comedies of his past. The chemistry between Cooper and Lawrence is excellent with their dancing and verbal sparring being wonderful to watch. Both stars inhabit complicated characters going through big changes and both looking for their silver linings and happily finding each other. 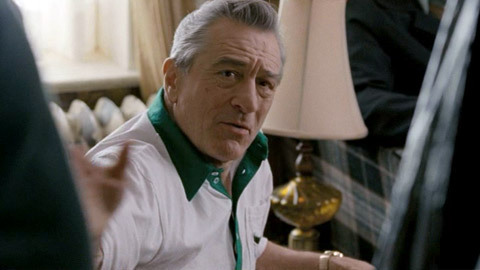 Her stand off with De Niro’s Pat Sr. is a rousing shakedown that leaves De Niro flustered. Unfortunately it becomes far too obvious as with most rom-coms where this is heading. De Niro is great as the OCD Pat Sr. It is a role that gives him more of an opportunity to stretch his acting muscles than anything we have seen him in recently. It is refreshing to see him tackling a less masculine role than his usual and even shedding a tear or two. As the film’s final third takes a turn for the very, very conventional, the dance competition and Pat and Tiffany’s relationship becomes far less interesting and the film feels as though it could have been wrapped up quicker. It is a shame that it decides to stick so slavishly to rom-com conventions, particularly from director David O. Russell. The comedy is definitely the selling point. Despite the serious parts and subject matter, it is the comedy that keeps you caring for the characters and enjoying the film. Silver Linings has some far more interesting characters than the average rom-com but it’s a real shame the story gets so straight jacketed by convention. It is entertaining but not worth going crazy over. The From the Red Carpet review is here. What did you think ladies and gentleman?